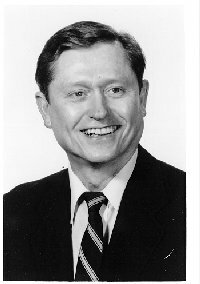 Born in Tompkinsville, Kentucky, Dr. Jack B. Howard received a Bachelor of Science and a Master of Science in mining engineering from the University of Kentucky in 1960 and 1961 respectively. Continuing his education at The Pennsylvania State University, Dr. Howard earned a Ph.D. in 1965. After receiving his doctoral degree, he immediately began his lifelong association with the Massachusetts Institute of Technology first as a Ford Foundation Postdoctoral Fellow, and then rising through the ranks of academia as an assistant, associate and full professor in the Chemical Engineering Department. From 1979-81 Dr. Howard served as Executive Officer of MIT’s Chemical Engineering Department and in 1995, he was named to the Hoyt C. Hottel Chair of Chemical Engineering. He has held visiting appointments in the CNRS Laboratory for Research on Physical Chemistry of Solid Surfaces in Mulhouse, France, and in industry. Throughout his career, Professor Howard’s research was focused primarily in the area of combustion, fuel processing, materials synthesis and waste destruction. A noted authority in these areas, he was the author of the book New Energy Technology and the author or coauthor of more than 180 scientific papers. Professor Howard held a number of professional society offices over the years including serving co-chairman of the Energy Research Committee of the American Institute of Chemical Engineers (1975-1980), program chairman of the Nineteenth International Symposium on Combustion (1982), chairman, Division of Fuel Chemistry, American Chemical Society (1984), director, Division of Fuel Chemistry, American Chemical Society (1987-1989) and director, Combustion Institute (1994-present). Professor Howard was the deputy editor of the journal Combustion and Flame and has served on the editorial boards of the journals Fuel (1985-1990) and Energy and Fuels (1986-1993). Throughout his professional career he received numerous awards and honors. He was the recipient of the Henry J. Storch Award, American Chemical Society (1983), the Bernard Lewis Gold Medal, Combustion Institute (1992) and the Charles L. Hosler Alumni Scholar Medal, Pennsylvania State University. He was also named to the Richard H. Wilhelm Lectureship, Princeton University (1977) and as the Oblad Distinguished Lecturer, University of Utah (1989). Professor Howard died July 7, 2008. He is survived by his wife, the former Carolyn Butler and their two children.